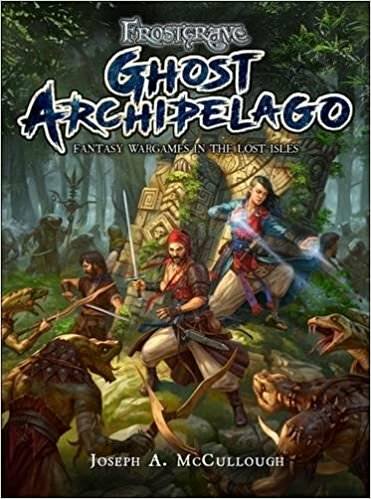 In the wargame Frostgrave: Ghost Archipelago, set in the world of Frostgrave, players take on the role of Heritors, mighty warriors whose ancestors drank from the Crystal Pool. 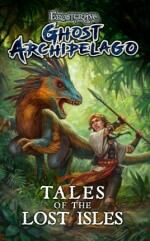 These Heritors lead their small, handpicked teams of spellcasters, rogues, and treasure hunters into the ever-shifting labyrinth of the Ghost Archipelago. Using the same rules system as Frostgrave, this standalone wargame focuses on heroes who draw on the power in their blood to perform nigh-impossible feats of strength and agility. This game also includes thirty spells drawn from five schools of magic, a host of soldier types, challenging scenarios, treasure tables, and a full bestiary of the most common creatures that inhabit the Lost Isles.